Cross country day for Little Fire went totally to plan, he was very much there for experience and not to be competitive, and he really came up trumps with all the right answers. 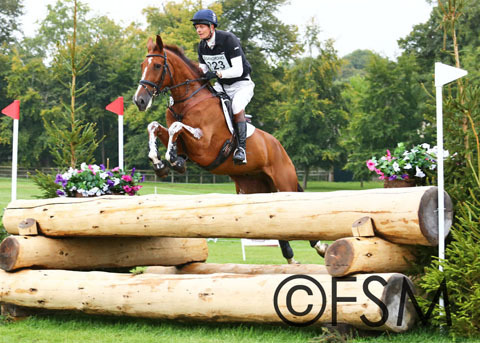 He made the course feel very straight forward and he finished full of running, with a few time faults, having really enjoyed himself. 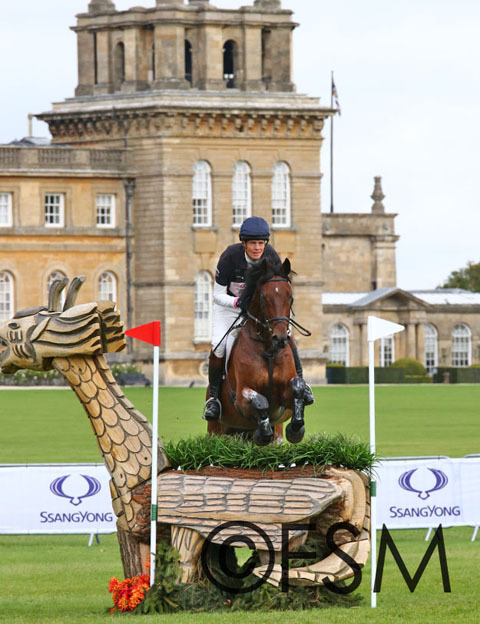 He was only one of 4 8yo's in the whole field so he was very much on the inexperienced side and will have learned massively from his Blenheim round. Oratorio gave me a great feel in the show jumping producing his first clear round at Advanced level, he jumped very solidly and confidently, and never felt like touching a fence. I also had more control and he looked very smart. The atmosphere in the mean arena didn't affect him one jot which bodes very well for the future. He does seem to be a very cool customer when he has to be. Barrichello took on the show jumping in a very positive way and also jumped a good solid clear, and really looked the part. So I could not have been happier with how my two 8yo's coped with the biggest show jump challenge that they have had. Barrichello moved up into 5th and Oratorio into 15th, as the course caused plenty of trouble, it was very big and very cleverly designed by Di Bodi. Little Fire finished off his Blenheim experience very satisfactorily. He rolled a couple of poles but did a very pleasing round and I was very impressed by his overall attitude. He coped brilliantly in the main arena, one fence he flattened over and once fence he was just unlucky at, so it was just one of those things. 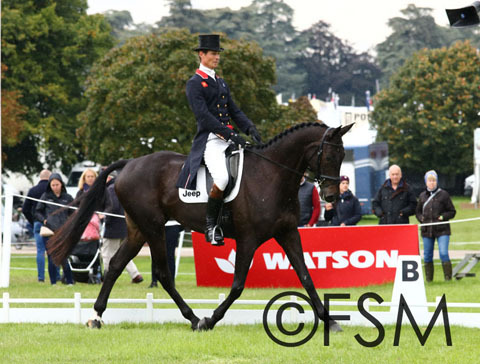 So overall his Blenheim experience has really come off well, and he will be a more grown up chap next season. I was very pleased with Barrichello and Oratorio, who both went clear cross country in the 8/9yo class. I had a slightly lucky moment on Barrichello at the first water when he turned a bit green and fell into trot, and had a bit of a lucky jump on the exit. But he really grew in stature around the course and it is excellent that he has got his CIC qualification, on only my first ride on him. Oratorio gave me a great ride cross country and was really on the job. Unfortunately we got held near the end of the course and when we restarted he was extremely exuberant, and very genuine to jump through the skinny on a very forward stride. 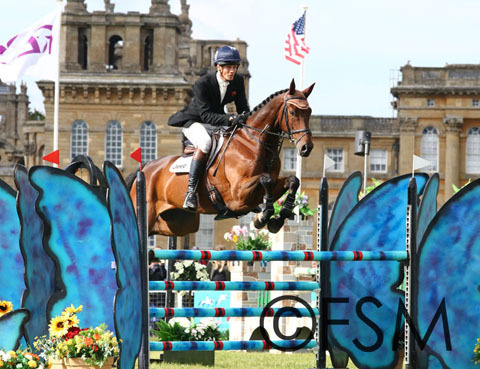 I could not have been happier with how my 8yo's have coped and will have come on from Blenheim 2017. I am very fortunate that it has turned out to be such a positive experience, and they will have all benefited enormously from their weekend. They will now have a nice holiday and hopefully the sun will shine. Tomorrow true madness kicks in and I am off to Pontispool with 5 - just in case I was short of something to do.